Landloch was a major contributor to landform design and rehabilitation management systems for Minara Resources’ Murrin Murrin Nickel Operation, which received a Department of Mines and Petroleum, Golden Gecko Award for Environmental Excellence in Western Australian mining in 2008. 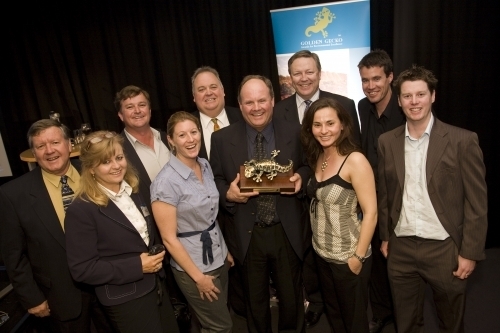 Rob Loch, pictured far left, at the Golden Gecko Awards Presentation for Environmental Excellence in Western Australian mining. Landloch also provided extensive rehabilitation advice to Cristal Mining, who achieved an Excellence Award for Going Beyond Best Practice from the NSW Minerals Council in 2012.